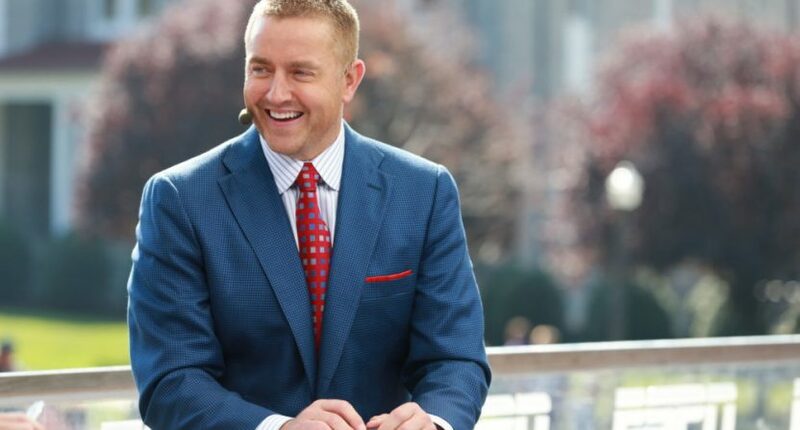 ESPN college football analyst Kirk Herbstreit told Nashville’s Fox-17 that his twin sons, Jake and Tye, will be preferred walk-ons for the Clemson football program in 2019. Jake — a cornerback — and Tye — a wide receiver — are seniors at Montgomery Bell Academy in Nashville (Zak Herbstreit is a sophomore there as well). Montgomery Bell Academy will take on Brentwood Academy again Friday as both teams fight for a birth in the state championship. Kirk will be at the game, cheering on his sons, anxiously watching each play. Next year, his two twin senior boys will go to Clemson University to be preferred walk-ons on the football team. Odds are quite high that Kirk will get to cover plenty of those Clemson games for ESPN and ABC in the next few years. The Tigers are ranked second in the current College Football Playoff rankings at 11-0, and there’s no reason to expect Dabo Swinney’s powerhouse program to slow down anytime soon.